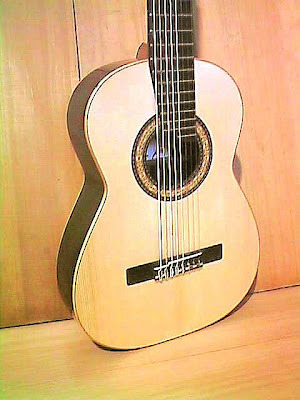 Made over the six string instrument structure, it has two extra bass strings that are usually adjusted to suite Barroque music. 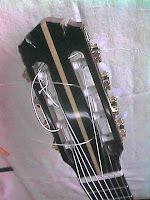 The bridge is made with a two piece sadlle to improve tunning. The neck has a side atachment that keeps the six string sensation for left hand avoidingstressing sensation of very wide necks.